This year between 27th February and 12th March it is Fairtrade Fortnight. Some of you may know that I met my husband while travelling out in Malawi in 2004. It was the second year in a row I’d been out there, and I went out to Malawi again the following year. It really does hold a special place in my heart for so many reasons. While we were there we saw how much poverty there was (as well as the ridiculous wealth splashed out by the government on things that were not all that important). In Malawi tea-pickers earn less than £1.46 a day. That is equal to an annual salary of less that £400 a year. How many of us would spend that much, and more, on a weeks holiday in the sun? When I read the figure on £1.46 a day, the first thing that popped into my head is “I wouldn’t get out of bed for £1.46!” The first thing I do when I get out of bed is make myself a cup of coffee. It is a big part of so many people’s day. That first hit of caffeine. It sets us up for the day doesnt it? But one in three people in Kenya’s coffee and tea-growing regions are in poverty. They, and Malawi’s tea-pickers can’t afford basic education, healthcare or decent food for their families. While I was in Malawi each of the three years we did some work at a local school in a tiny village called Dzalanyama, two hours outside of the capital city of Lilongwe. After the first year of doing odd jobs at the school like building desks, painting chalk boards, and generally sprucing the place up, we decided more needed to be done at the school. particularly for the young girls from Mozambique who slept in a very cramped staff room, that was not safe at all. Over the next year a lot of fundraising was done (a lot of it by the lovely Claire Davidson, who was one of the teachers that was with us the first year. She later won a Teaching Award in part for her fundraising for this school) and we helped to convert one half of a dilapidated barn into some dormitories for those girls. The third year we were out there we helped with the other half of the barn so that there was more space for the girls. I would love to go back out there to see what it is like now. I’d also love the opportunity to travel to other parts of the world to do project work like this again, as it is such an eye opener, and can really change other people’s lives. For now though I will have to settle with helping those in developing countries by using Fairtrade products. During Fairtrade Fortnight this year the Fairtrade Foundation are asking people to put Fairtrade in their break. While I’m writing this post I’m munching on a (couple, shh, don’t judge!) 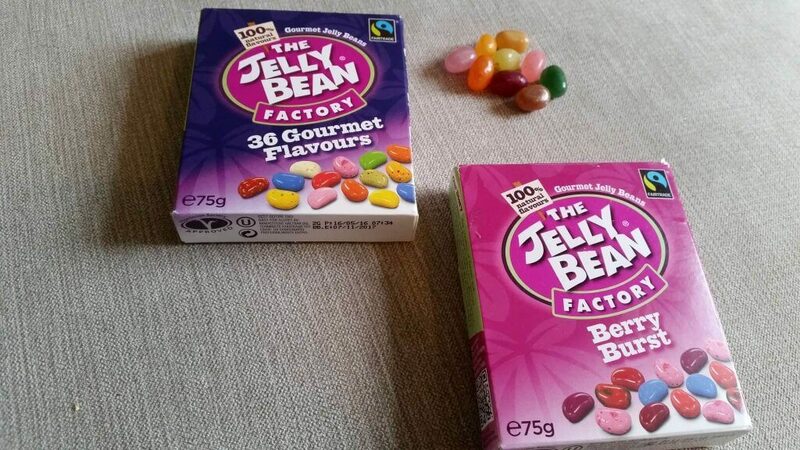 pack of The Jelly Bean Factory Jelly Beans, which I never really knew were Fairtrade before. They’re definitely keeping me going during this miserable Monday. Adam Gardner, Communities Campaign Manager for the Fairtrade Foundation at the Fairtrade Foundation said “The food on our tables, the tea and coffee in our mugs, all come from farmers who work hard but are not paid what they deserve. Whether in the UK or in Malawi, no one deserves to be short-changed for a hard day’s work. When we reach for the cheapest products, we may be unconsciously feeding exploitation. We become part of the problem, but we can make a conscious choice to be part of the solution and support trade that is fair. Yet, not enough people are buying Fairtrade and not enough farmers are benefiting from it. We need everyone in the community to get behind farmers and their families this Fortnight. As I mentioned briefly in my last post, I was ill over the weekend, and so spent most of Sunday in bed. I’m awful when I’m ill and don’t drink nearly as much as I should, as I just couldn’t bring myself to drink anything. Actually, I never really drink as much as I should. I’m sat here with two different drinks beside me, and the chances of either of them getting finished is pretty slim. I can’t even blame that on Isla, as she’s at nursery! As a result of not drinking enough, my lips always get ridiculously dry, and so I’m always on the look out for a good lip balm. I’ve tried a million and one of them, and my husband can vouch for that, as they’re dotted all around the house! 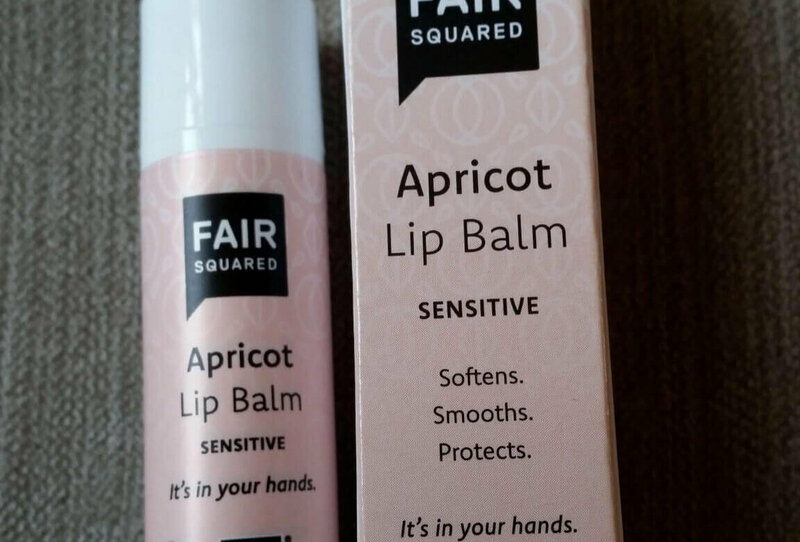 FAIR SQUARED have launched a new lip balm range that seems to do the trick for me. It seems to moisturise without leaving a sticky residue, and lasts a long time so I’m not having to constantly reapply every 5 minutes! Who has time to do that with a 10 month old!? This lip balm comes in 4 different flavours (Lime, Shea, Apricot and Almond), I have the Apricot flavour, although I would love to try out the Lime one at some point too…maybe once I’ve finished this one up. I think hubby might go mad if I get any more lip balms anytime soon! These lip balms are not only Fairtrade, but also Vegan, Halal and Cruelty-Free. The tube it comes in is also recyclable, which is great as we are big recyclers in our house! 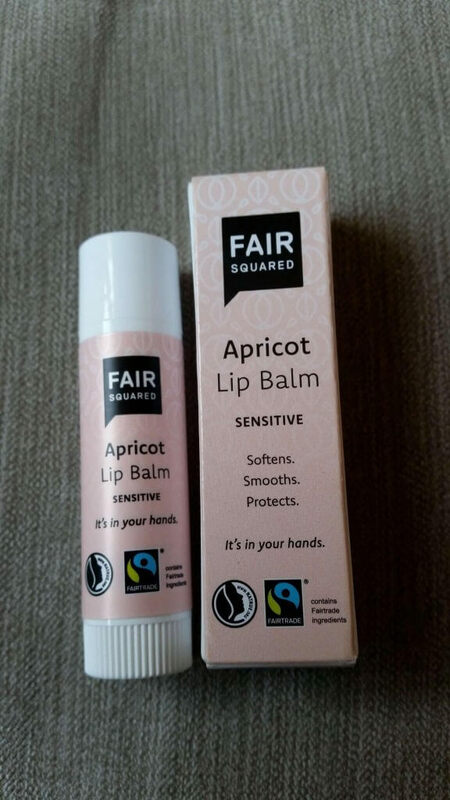 The lip balms sells at £4.95, which is more than I would usually spend on a lip balm, but as it seems to be lasting a lot longer than others, and is helping Fairtrade farmers around the world, then it is something I’d be willing to pay a bit more for. If you are planning on having a Fairtrade break with your Fairtrade tea, coffee, jelly beans, lip balms, chocolate, or nuts you can join supporters across the UK by using the#FairtradeFortnight hashtag to spread the word about their activities. For more information about the campaign and how to get involved, visit www.fairtrade.org.uk/fortnight.